Britta Wigginton’s expertise in participatory and qualitative methodologies informs her highly collaborative and translational program of research. 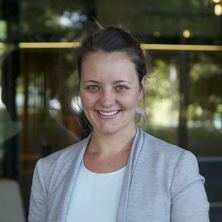 Her focus on disseminating to academic and community audiences is evidenced by her successful engagement in a range of non-traditional channels of communication: media, podcasts, blogs, and research reports for communities and organisations. Who takes responsibility for contraception, according to young Australian women? Reimagining gender in psychology: What can critical psychology offer? Harris et al. Respond to "Social Media Recruitment"
Stigma and hostility towards pregnant smokers: does individuating information reduce the effect?